With the news that Brits are spending more and more time on the daily commute, the car in which you spend all that time needs to be carefully chosen. While a flash set of wheels alone won't alleviate the tedium, the daily grind becomes a more bearable prospect with a certain level of refinement, comfort and kit to accompany it. If you have to commute on a daily basis, what are some of the best cars in which to make that journey? 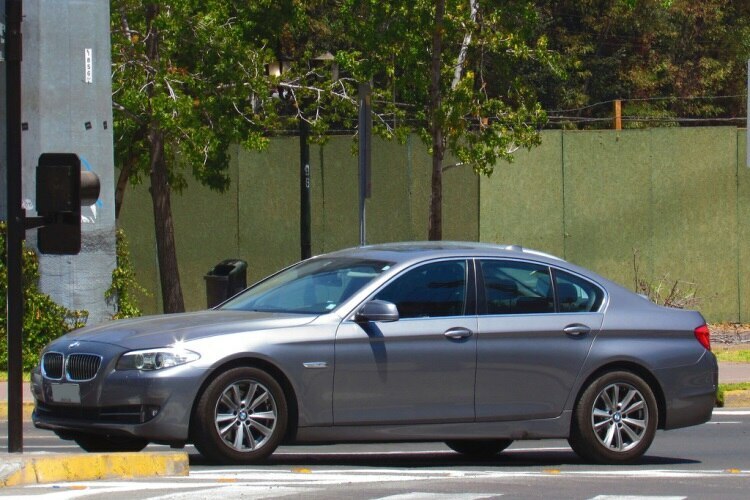 The 520d is the best selling model in BMW's 5 Series line up, mostly because it offers all the comfort and luxury you'd expect from a premium German brand executive saloon, but at a relatively affordable price, both to buy and run. Along with cosseting seating, there's a user friendly infotainment system and the ride is whisper quiet, even at speed. If your commuter vehicle has to do double duty as the family runabout, handling school runs and family holidays, this seven seater has plenty of space. While this French MPV doesn't offer the most dynamic driving experience, it's stylish, comfortable and well equipped. It will do all you ask of it with some aplomb. Ford's saloon managed to shake off its unflattering 'Mondeo Man' tag long ago by dint of its sheer quality. It's spacious, reliable, affordable and above all a great drive. It may not be as luxurious as some of its Teutonic rivals but has become the go-to commuter standard for good reasons. It handles beautifully in the town or on the motorway and there are plenty of good quality second hand examples on the market. It's not your average commuter vehicle, certainly, but if your daily grind involves bumpy farm tracks, sand dunes or mountain passes, then the Hilux offers the requisite toughness and adventurous attitude. As a Toyota it's reliable to a fault, no matter what you throw at it and its excellent four wheel drive system will get you out of trouble without breaking a sweat. If you need a hard as nails workhorse on a daily basis, the Hilux is practically bombproof. Apparently the 'best car in the world,' this saloon is rammed with the most advanced technology, luxurious enough for the most pampered of princesses and as handsome as a Hollywood matinee idol. The 20 or so driver assistance features mean you'll have very little work to do on the road and for sheer sophistication, there's little to match it, even at a higher price.